In the beginning stages of sketching and model making, I became inspired by the architectural forms of the Turk’s Head building in downtown Providence. One of my priorities in executing this project was to experiment with color in form. I choose ash as the wood because of its abilities to absorb color dye. After making tests, I went with red dye because of its rich aura and ability to translate and highlight form in objects. 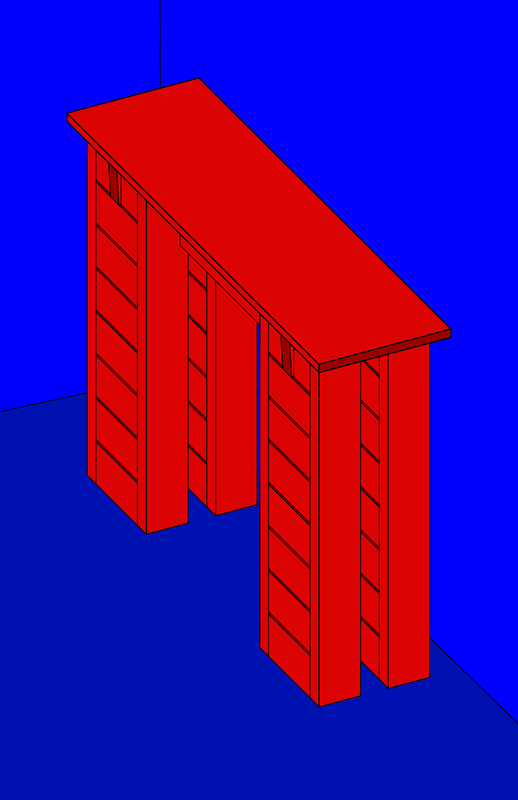 Each part is joined together with mortise and tenon joints, totaling over 100.